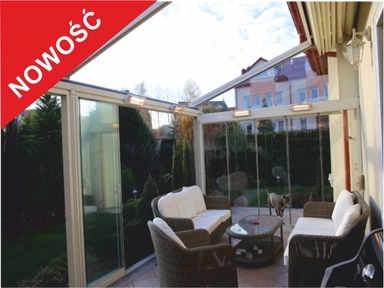 Innovative glazing terraces through sliding tafliszklanych. It allows you to seal the inside of the room. The advantage of the system is to offer full views of interior, without removing the individual elements and segmental uncovering go. The installation of our system of glass provides an excellent barrier to excessive external noise, wind, precipitation and air pollution. A method of assembling a pane of glass allows comfortable upkeep glass surfaces and the different elements of the system. Depending on the type of glass it is possible to protect the interior from excessive sunlight or interior composition consonance with the environment.